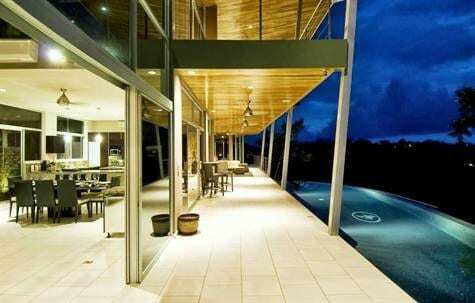 1/2 ACRE – 4 Bedroom Modern Home With Infinity Pool And Amazing Ocean Views!!! 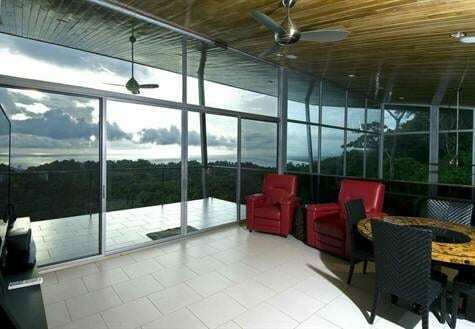 This Luxury home is situated above the tropical canopy of Pura Vida Valley – This area of Manuel Antonio showcases some of Costa Rica’s most highly-coveted and photographed Pacific Ocean with 30 miles of Pacific coastline views. 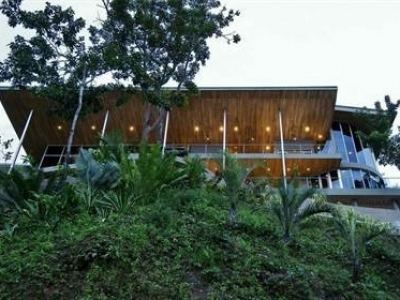 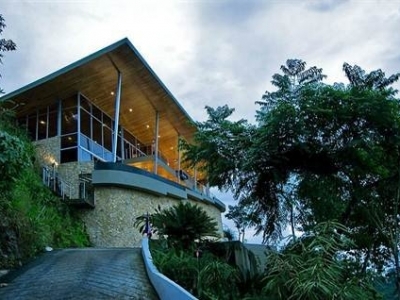 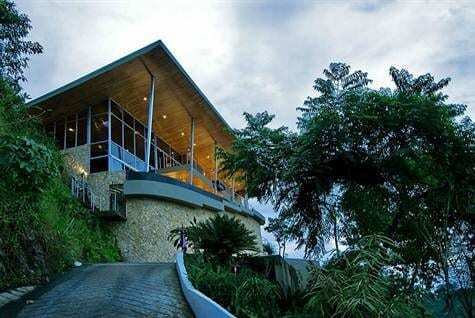 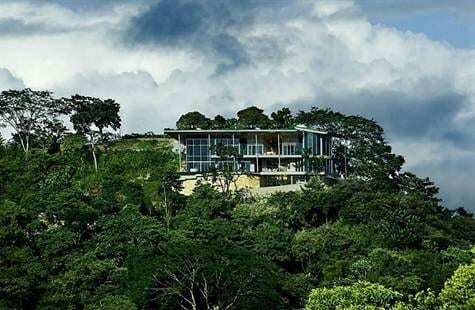 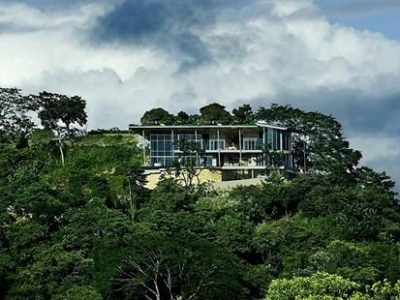 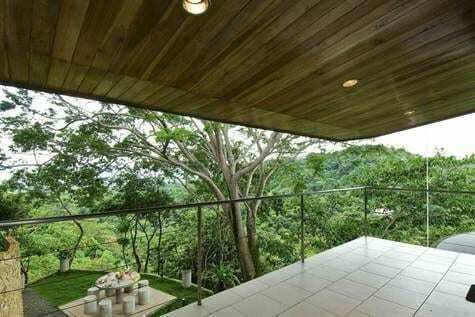 This modern 2-acre estate rises above the jungle canopy of Costa Rica. 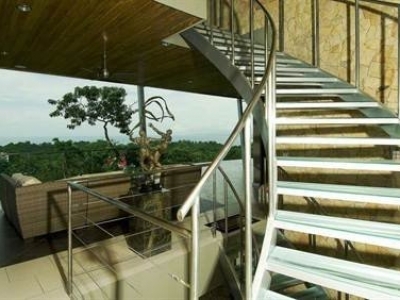 Glass staircase, soaring 28 ft. teak ceilings & an elevator add to the drama of this showplace. 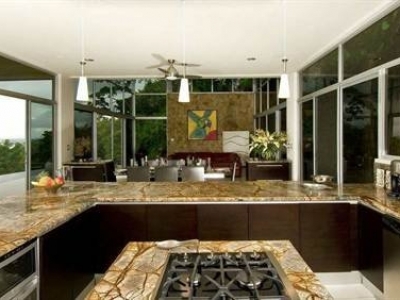 Huge living/dining/kitchen for entertaining. 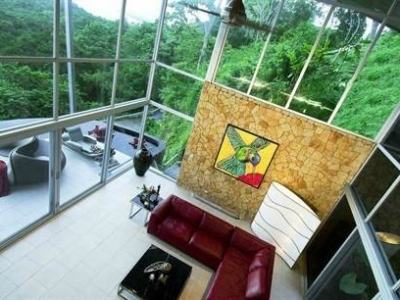 The Luxury Estate is fully air-conditioned, however, you ll likely enjoy cool breezes under the covered outdoor den. 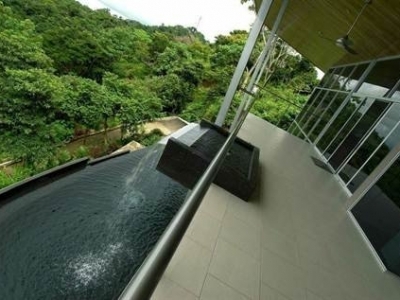 50 ft. infinity pool; Note that the waterfall feature cascades into the pool below, this is great for parties & exercise. 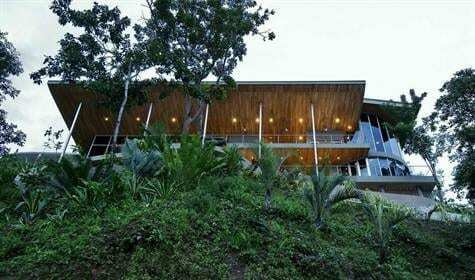 This is a SMART home with solar panels and technology that integrates surround sound, pool settings, security systems and LUTRON lighting. 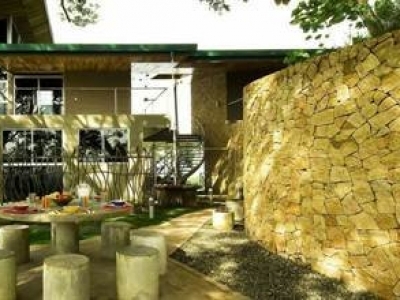 The covered outdoor den connects the home’s two wings. 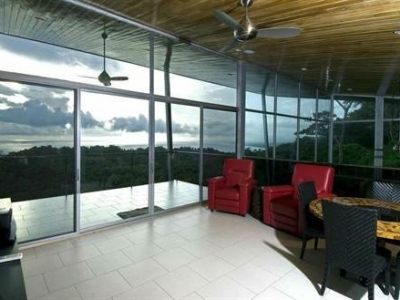 Relax or entertain guests with breath-taking Pacific coastline views. 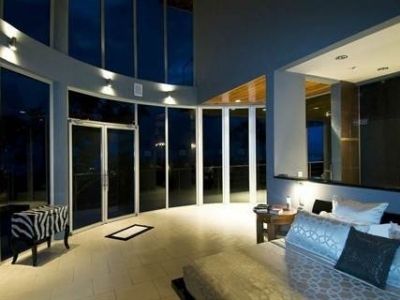 Making for an ideal home even an extremely unique, one of a kind Luxury Ocean View Rental. 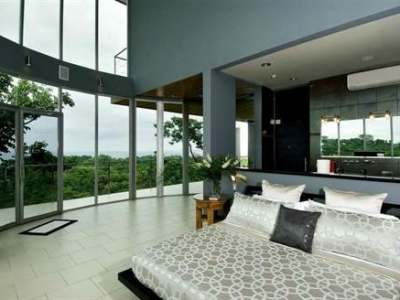 The master bedroom suite has a two-story curved glass windows that effortlessly blends with the home to its beautiful grounds. 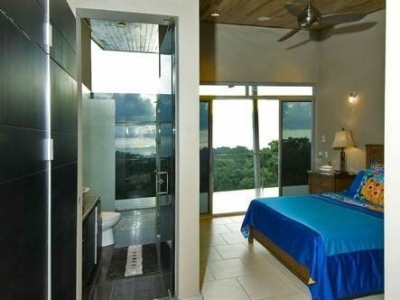 It features dual vanities, a dressing area, two closets & full shower. 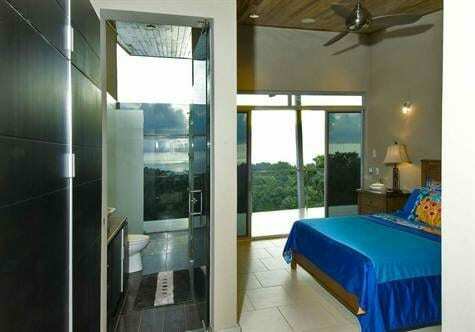 From the master bedroom there is access to an additional private outdoor shower and jetted spa tub. 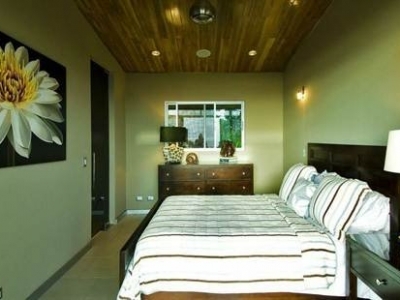 Third floor has two additional bedrooms with full baths, plus a media room. 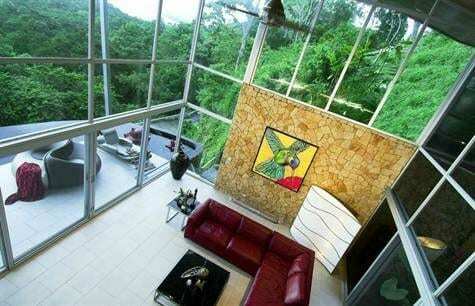 Media room is open to the living room below. 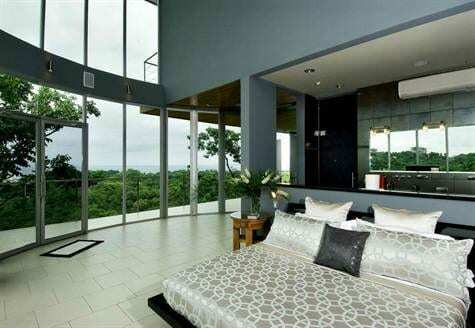 All rooms on the second and third floors have ocean views. 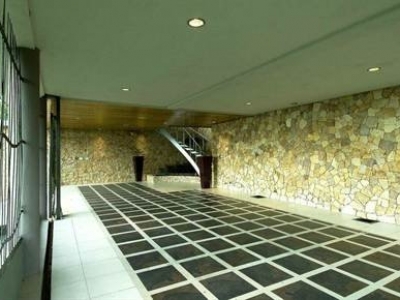 Imported porcelain tile inside and out, and granite countertops throughout. 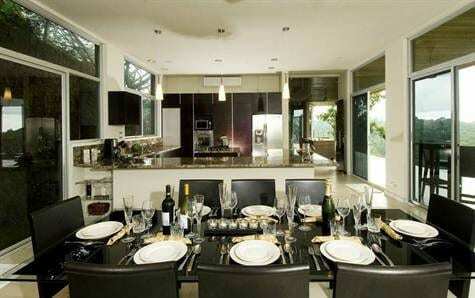 The dining room easily accommodates seating for 8. 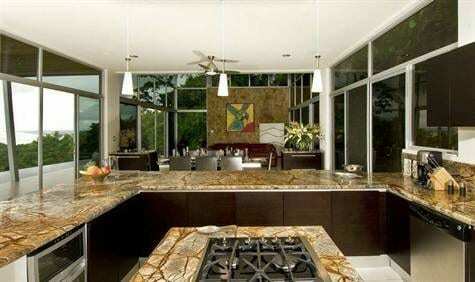 Additional seating is conveniently found along the kitchen’s deep counters. 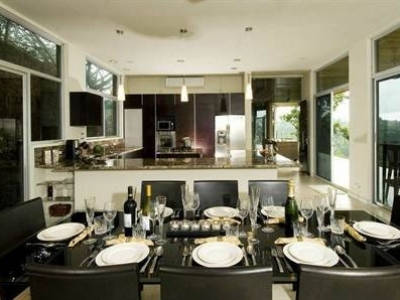 The gourmet kitchen with imported custom Italian cabinetry, stainless steel appliances, wine cooler, commercial ice maker, convection / conduction oven and Brazilian granite countertops. 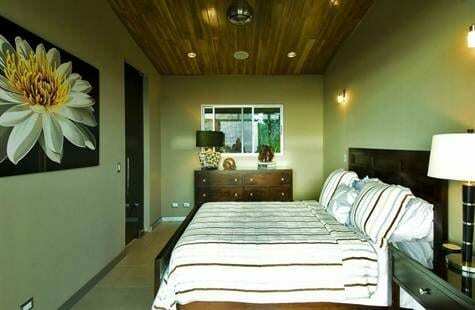 The ground floor has oversized garage, laundry room, and bedroom with full bath. 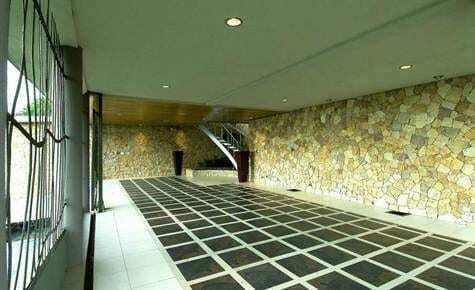 There are fountains at the garage entrance and under the staircase. 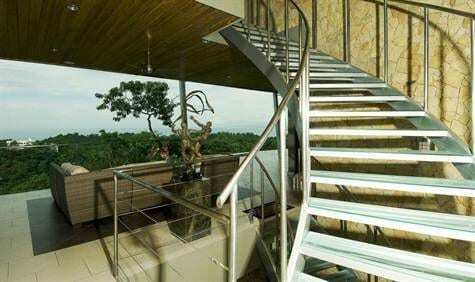 There is also a motorized garage gate for security. 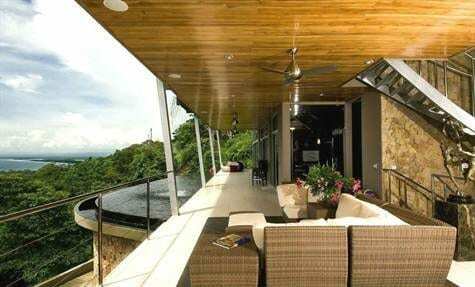 The back yard has custom outdoor seating area, featuring a Lynch gas grill for al fresco dining with views of the valley and mountains to the east. 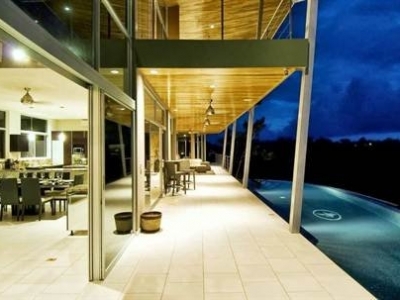 As night falls, and glass doors open, Casa Pura Vista is ready and dressed for any occasion: chic entertaining, an intimate dinner or, a relaxing evening swim. 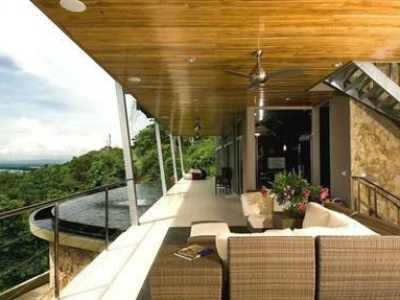 This Costa Rican dream home and priceless real estate was carefully designed with you in mind. 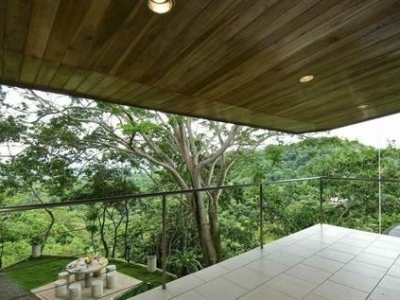 Welcome to your Costa Rica paradise, Welcome Home.